The most famous diamonds in the world were recovered at the Cullinan diamond mine, including The Cullinan – the largest diamond in the world to date, weighing 3,106 carats. The mine has also produced about a quarter of the world’s largest diamonds, weighing over 400 carats, as well as 140 diamonds weighing 200 carats or more, and 800 diamonds weighing 100 carats or more. In addition, the Cullinan mine has produced the world’s most expensive blue diamond, the Cullinan Dream. The Cullinan mine is located in the Gauteng district of South Africa. The mine’s k imberlite chimney spans some 80 acres. The Cullinan mine was discovered in 1902 by Sir Thomas Cullinan. The mine became operational in 1903, at which time it was renamed the Premier Mine. In 1905 the mine produced the world’s largest diamond, the Cullinan diamond, which weighed 3,106 carats (about 1.1 pounds). During World War I, 14,000 people worked in the mine. In 1930, the mine was purchased by mining giant De Beers, which closed it two years later due to the global recession triggered by the Great Depression, which drastically eroded the demand for luxury goods. The mine was reopened only 13 years later, in 1945, when maintenance work was carried out there in preparation for underground mining. In 2008, De Beers sold the mine to Petra Diamonds, which operates it to this day. As of 2017, the Cullinan mine was about 2,943 feet deep, and tests showed that the kimberlite actually ran about 3,280 feet deeper underground. As part of the mine’s activity, the mined diamond-bearing kimberlite rocks are transported on special conveyor belts to crushing stations and then brought up to the ground levels by elevators travelling in special shafts. The crushed rocks then move to a sorting facility, where the diamonds are separated from the debris. The lifespan of the site in the area currently mined is estimated at an additional 12 years. The overall life expectancy of the mine is estimated at another 50 years. The Cullinan mine employs 20 engineers, seven mining experts and 24 metallurgists. About 70% of the workforce and miners employed in the mine live nearby. 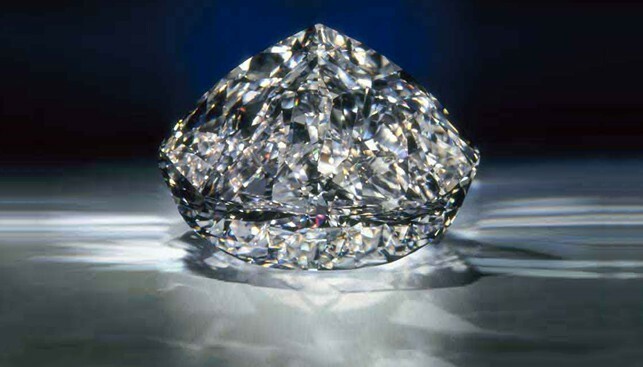 Diamond[s] cut from it: The largest polished diamond is called the “‘African Star”, weighing 530 carats. 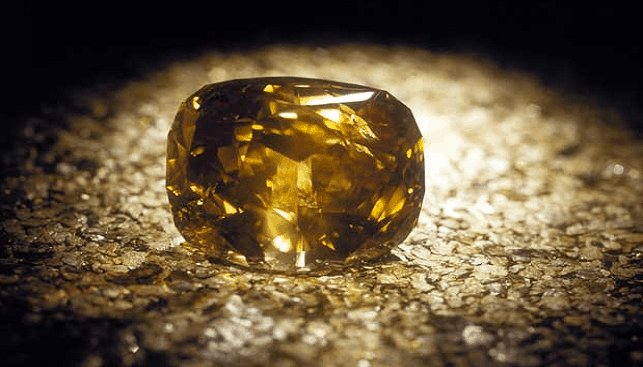 In addition, eight other large polished diamonds were cut from the giant rough diamond. Additional information: The largest diamond is embedded in the British royal scepter. The other diamonds belong to the British Crown Jewels as well. Additional information: The flawless pear-shaped diamond (IF) is G-colored and set in a pendant. Additional information: The yellow-brown, rose cushion cut diamond belongs to the King of Thailand. Additional information: The flawless diamond (IF) is D-colored. Its owner is unknown and believed to be De Beers. 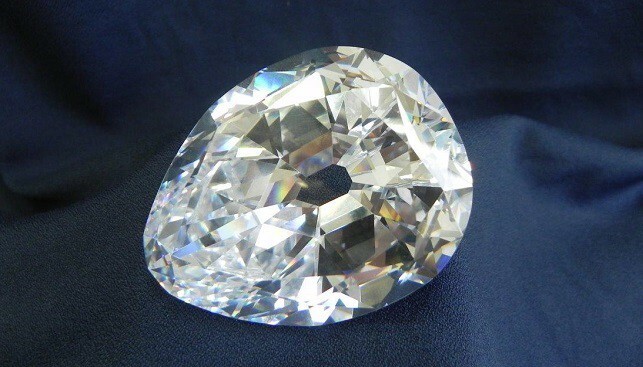 Additional information: The rough diamond was cut into 24 diamonds, the largest of which is a flawless, round, IIa, D-colored diamond (IF), weighing 104 carats. All the diamonds are set in one piece, owned by Chow Tai Fook. Additional information: The polished, intense fancy blue color-diamond has a classic baguette cut is set in a ring. Additional information: This blue diamond is owned by Hong Kong-based tycoon Joseph Lau Luen-Hung and named after his daughter.